Compounding the difficulty, AoC armies seem to move slowly relative to the grand campaign — either I imagined this, or else the game is representing the breakdown of Roman roads and logistics. The net result was too few armies facing too many threats; the first 25 turns required liberal use of the “reload” button. Some clever touches. 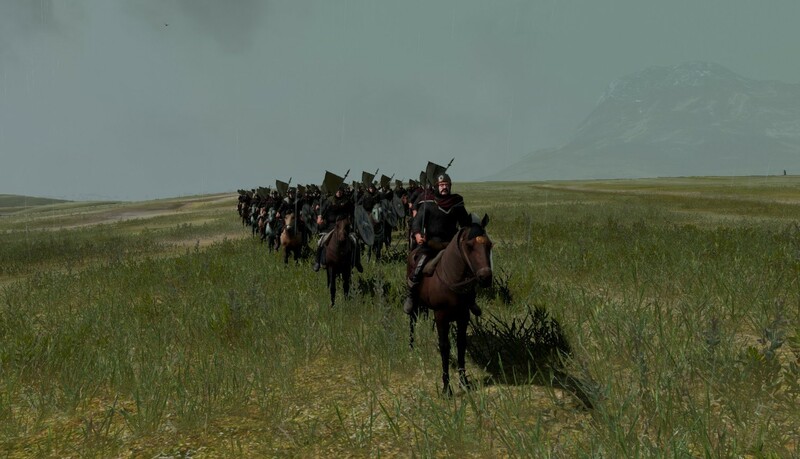 For instance, I was initially taken back by AoC’s limited unit roster: most factions can recruit basic levies, then some combination of heavy infantry, heavy cavalry, and/or missile cavalry. Then, during the campaign, I realised how cost, upkeep, and ease of recruitment interact. Levies are cheap and easy to recruit, so there was no point keeping them around between campaigns. 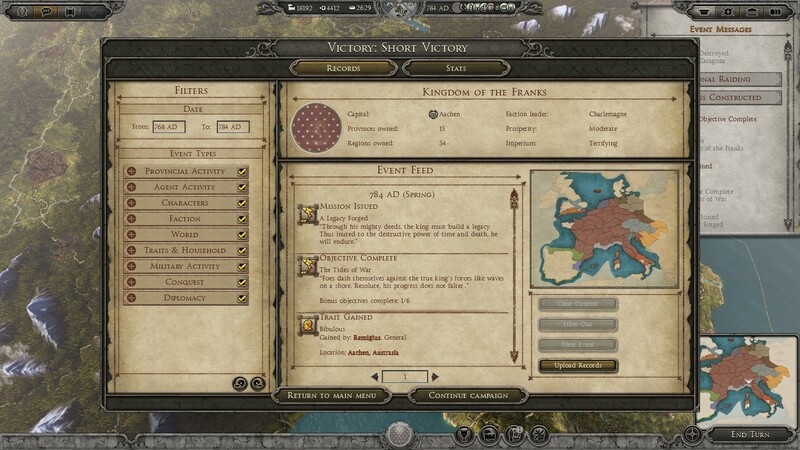 Mercenaries are easy to recruit but expensive to maintain, so again, I dismissed them between campaigns. Professional troops are pricier than levies, but harder to mass. So I built my army around a core of professionals, supplemented by levies and mercenaries as needed — a bit like Shogun 2, where pricey samurai should be supported with cheap ashigaru. In another echo of Shogun 2, it’s easy to field a combined-arms force — Charlemagne’s Franks can recruit basic infantry, ranged, and cavalry units in any province, which made battles more interesting than the infantry versus infantry slugfests that dominated my Roman Attila campaign. I like the victory conditions. They’re not too strenuous: I won the “short” victory after several sessions of a few hours each. (Players can optionally continue onto a “long” victory.) They’re also freeform, triggered by the player’s imperium level rather than ownership of specific provinces. 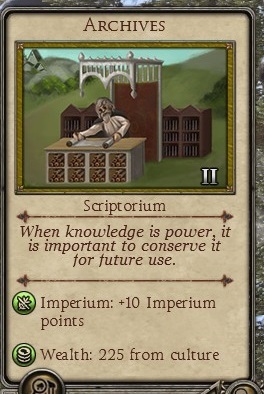 As imperium can be increased by constructing certain buildings (such as cities, palaces, and places of learning) and researching certain technologies, this meant that once I was comfortable with my empire, I could sit back, relax, and peacefully cross the finish line. 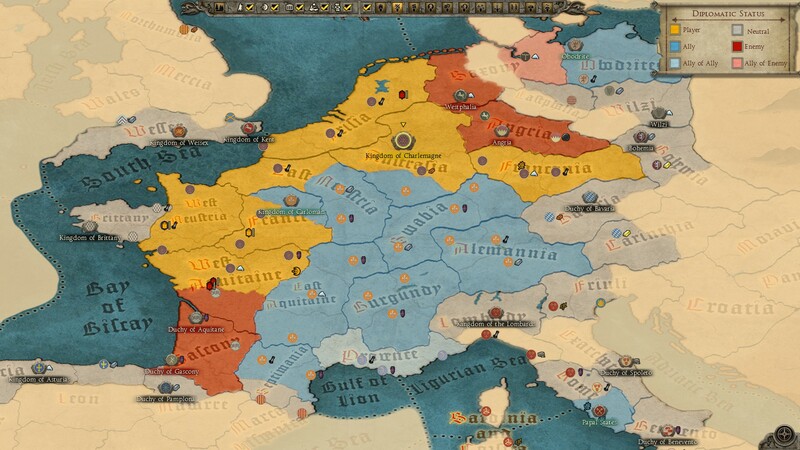 Age of Charlemagne: the only 4X game (and certainly the only Total War game) that can be won by building schools and libraries? A couple of lingering annoyances. My recently-conquered puppet state sent asaboteur to torch my cities; somehow, this was okay. When I tried to take out the saboteur, the game warned me that this would be an act of war. Huh? In the end, I reloaded and snapped up their last city instead of making them a puppet. The AI has also retained its fondness for dancing around just outside the player’s movement range, although this seems reduced from the base game. Solid complement to the base game. Attila is big, radical, and ambitious; Age of Charlemagne is smaller, quicker, and more elegant. Together, they make an effective pair.